For those of you who love espionage films such as Mission Impossible and Bond, there’s a new gaming site called Spy Bingo which launched on the Dragonfish software. 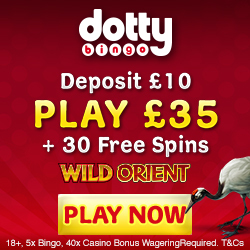 If like Mobile Bingo Bonuses you enjoy high quality games and generous bonuses, then this could be the place of you. To begin with let’s look at the games, which include 90 ball and 75 ball bingo, coverall jackpots, progressive jackpots and featured slots, such as Kronos and Starburst. The fact that many of these games are available on mobile and tablet devices, means that you can enjoy your favourites when and wherever you are. Registering is easy enough, you simply need to add a few personal details and you’re a member of a covert team. Then when you’re ready to make your 1st deposit you’ll receive a 300% cash match bonus, on a minimum £10. 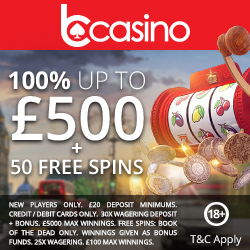 This is broken down as a 150% bingo bonus and 150% game bonus, so you’ll walk away with £40 to play with. It’s not just the new players who receive all of the bonuses, because Spy Bingo offer incredible regular promotions. Whether it’s Spin-Tastic which offers the opportunity to win spins, Grab a Grand with the chance to win £1,000 on the 15th of each month or Zodiac Bingo which has £1,111 in guaranteed jackpots each month. For those of you planning on telling your co-conspirators about this intriguing site, then make sure you take advantage of their refer a friend bonus. For each person you refer who deposits, you’ll receive £10 bingo bonus. There is a 15 referral limit each month, but we reckon that’s still plenty of gaming credit. If part of the reason you enjoy online gaming is to meet new bingo friends, then make sure you check out the Spy Bingo chat rooms. There’s a chat host who can help you manoeuvre the games and as well as meeting fellow roomies, you’ll also be in with the chance of winning extra prizes. Spy Bingo love to reward their regulars and as such offer a loyalty scheme from the moment you register. There’s 4 levels to the scheme including Bingo Rookie, Bingo Pro, Bingo Master and Bingo Champ, with every £1 wagered equalling 12 jewels. The more jewels the higher the level and the bigger and better the bonuses. Should you require any assistance, then you can contact a Spy Bingo representative via email or live chat and they aim to respond within 4 hours. They accept the usual methods including Credit and Debit Cards, Neteller, Entropay, Paypal and Paysafe Card. If you’re ready to be shaken, not stirred by the sight of these incredible games and bonuses, then head over to Spy Bingo.